While marijuana has been legal for medical use since 1996, California has come into a new age of legal adult-use aka “recreational” use over the past two years. Retail stores and dispensaries have sprouted up all over the city with more than 1,700 to choose from. So whether you’re into vaping after work, old-school blunts by the beach, or snacking on edibles while watching Jelle's Marble Runs videos on Youtube, there's at least one store for you. Pro tip: Most shops do offer delivery, as well, but if you've never actually visited a dispensary, you owe it to yourself to get the in-person experience at least once. Unlike the head shops of the past, hidden behind records and incense, there's no missing MedMen's neon-lit storefront and sleek signature look. Yes, you’re stepping into the self-proclaimed “Apple Store of cannabis” -- just know that with the fancy touch screens and weed Genius Bar, you’ll likely see Apple Store prices. The cannabis chain specializes in diverse strains and high-end offerings, as well as edible and topical options -- bonus points for pet-friendly drops and gift-worthy items like kush bath bombs. The Farmacy is a recreational cannabis boutique that carries over 150 designer products, but it also offers medical patients a 10% discount off their first purchase. School stressing you out? UCLA staff and students (with valid UCLA ID and medical referral) receive a 10% discount as well. 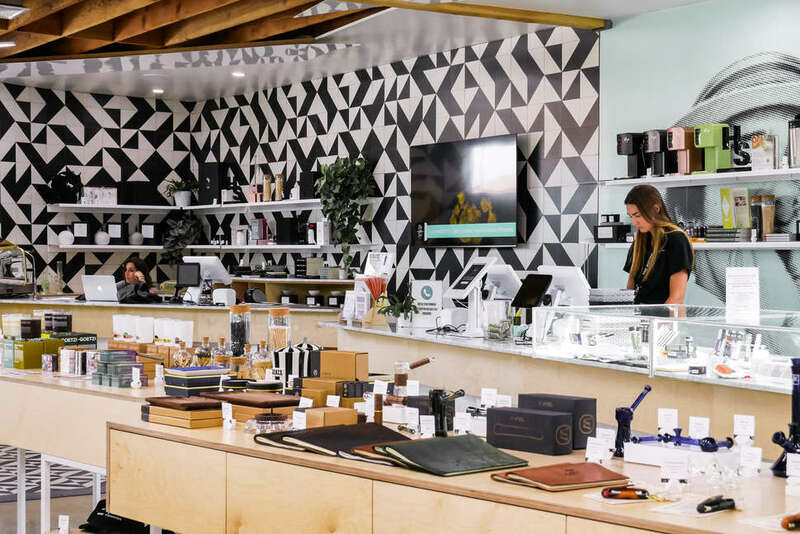 Even if you're just shopping for adult-use cannabis, don't worry: regular customers can join the dispensary’s 420 rewards program to earn gifts and discounts. Have friends visiting from out of town? Rose Buds, located near Pasadena City College, is the place to bring them, since recreational customers 21+ with ID (out of state accepted!) can shop here without any medical recommendation. 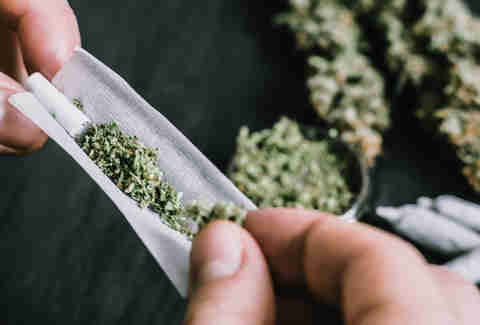 First-time patients receive five house joints and one top-shelf joint, and as an added bonus, you can actually get FTP deals for your first TWO visits. With over 100 extracts and almost 200 edibles on offer, this place has much more than buds. Located right on Los Feliz Boulevard, Greenwolf LA is arguably one of the best shops on the east side; from vegan edibles to CBD-infused honey bear bottles, this place almost feels like the Whole Foods of dispensaries. This is also one of the only recreational shops in LA that carries actual seeds for home growth, which for $80-100 isn’t too bad if you have a green thumb/the space to do your own growing. An airy, minimalist decor gives The Pottery a modern day apothecary vibe, fitting for your purchase of an extremely helpful medicine -- and even “recreational” tokers benefit from the medical effects of marijuana from anti-inflammatory properties to anxiety reduction. In the interest of providing Earth-grown pharmaceuticals, you’ll find display cases of premium flower such as Bloom Farms’ Do Si Do, THC Design’s Purple Punch, and Pearl Pharma's Kosher White Truffle. The Pottery also delivers to a considerable section of the city with no additional fees. California Caregivers Alliance has been around for over a decade, although it's now accepting recreational customers -- and first time visitors can enjoy 10% off after taxes! Tucked into the second floor of a strip mall, this little shop can get pretty packed at times, but if you're willing to wait a few minutes for your turn, a friendly staff is waiting to walk you through their reasonable selection of strains, edibles, vapes, and other products. There are daily specials, which is always a welcome treat, and on Sundays there's a prize wheel you can join in on with a donation -- who doesn’t love a prize wheel? If you have a major sweet tooth, get ready to load up on edibles from the OG Top Shop; the place is stocked with everything from candies like Gummies and Sour Belts to baked goods like cookies, brownies, and krispy treats. They also have great convenience items like a vast selection of pre-rolls; it's 2018, and you shouldn’t have to roll your own joints if you don’t want to. The place opens daily at 8am and regularly runs customer appreciation events -- just don’t forget to hit the ATM, this shop is cash only. Open daily from 6am to 10pm (including holidays), WHTC just might be the most accessible dispensary yet. Winner of 2016 High Times Cannabis Cup, this is shop excels in both options and education; from the informative website to the informed staff, WHTC strives to help you buy what's best for you. The shop offers a 5% discount to veterans, seniors, and medical marijuana patients with disabilities, and daily deals for medical patients; while recreational customers are accepted, keep in mind that the daily deals are for medical patients only. Though there's a limited number of flower strains on offer, WHTC's fully stocked with extracts and concentrates, including the Dosist pens that are sold out at most shops. You’d be hard-pressed to find a friendlier, more inviting atmosphere amongst budtenders than at City Compassionate Caregivers who’ve been cultivating some of LA’s top greens for 20+ years. 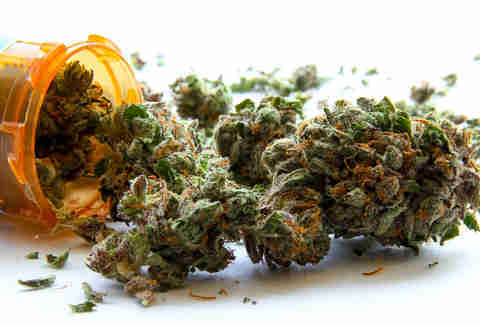 The operation has been known to collaborate with weed royalty like the Wu-Tang Clan, Cypress Hill, and Snoop Dogg. Speaking of the D-o-double-gizzle, Caregivers uses Snoop’s Premium Nutrients on a number of plants in their on-site double-decker grow facility. Be sure to pick up some fire flower from The Cure Company, whose Glazed Apricot Gelato strain is sure to make for a relaxed stroll through Arts District afterward. Sometimes it’s hard to get off your couch -- luckily, DTPG offers FREE delivery anywhere from Glendale to East LA. They also have daily deals, and are currently offering 25% off vapes and concentrates. DTPG carries one of the biggest selections of Hybrid strains, as well as a well-stocked edible selection that including a variety of candies, oils, and medicated pet treats. With top-shelf deals for first time buyers, Bonafide makes their customer value clear at the outset. 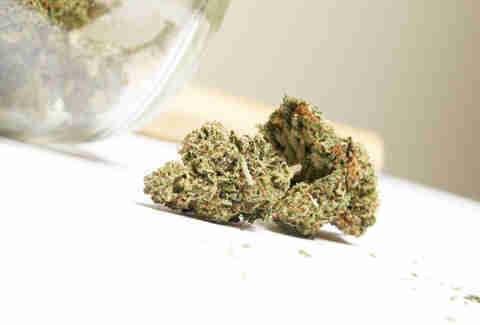 The floor-to-ceiling product selection will have you wanting to try something new every time, and you definitely should; don’t hesitate to ask for a recommendation, as the budtenders are helpful and friendly. Bonafide prides itself on a research-based menu, so you can expect a wide variety of lab-tested strains, extracts, and powerful edibles here. Last year, Leafly rated Zen Noho the No. 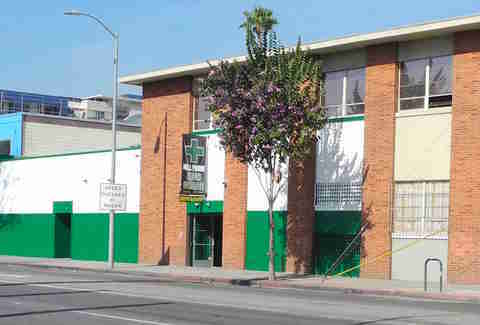 2 best dispensary in LA, and the shop is still hitting just as hard these days. You'll find something for everyone, from CBD to edibles, but the shop is cash only -- however, there is an ATM on site. Zen Noho offers monthly specials on flower, concentrates, and pens; follow their Facebook to keep up with the sales. Located across from the Eagle Rock Plaza, Cornerstone feels like a boutique retail experience that's fueled by medical education. The store is "research-based," and one of the best places to ask any question you might have; there's even a blog that focuses on cannabis benefits, with article topics that touch on everything from MS pain management to creativity to strain science. If you're in the dark about what you need or the best canna product to tackle your issue, this is a very informative place to shop. Located on Cahuenga and Sunset, this shop is in squarely the heart of Hollywood, and while it's cash-only, there's a much-needed ATM on site. MMD is loaded with flower, concentrates, and a great selection of edibles and infused drinks, and also gives a 10% discount to people who live or work nearby! After your pickup, head across the way to Amoeba for some music and movies -- it's basically a 4/20 one-stop shopping trip. Los Angeles Kush is a bargain hunter’s green dream -- to wit, every Tuesday at their Echo Park location is both Terp Tuesday with 15% off all vape cartridges AND Taco Tuesday meaning two free tacos with any purchase. There aren’t too many places that both give you the munchies and satisfy them within a 10-foot radius. Shop hours are ridiculously convenient, running from 7am to 10pm seven days a week, making it all that much easier to scratch an itch for San Fernando Valley OG or Cherry Zkittles. Green Goddess is a boutique dispensary just a scooter ride’s distance from the neighborhoods’ iconic beachwalk and canals. Scootering along with a goodie bag of calming tinctures and bath bath bombs, without a care in the world, seems like a pretty ideal way to spend 4/20. The dispensary houses a wide variety of oil, kief, hash, vapes, wax, balms, and Buddha’s Dream Cannabis Oil made using Canadian engineer Rick Simpson’s method. With what might just be the best deal yet, Buddha Company is covering the new 2018 taxes for customers to help them acclimate to the new regulations. Yes, while many shops are passing these high taxes on to the customer, leaving some patients more sour than Diesel, Buddha is opting to front the costs. 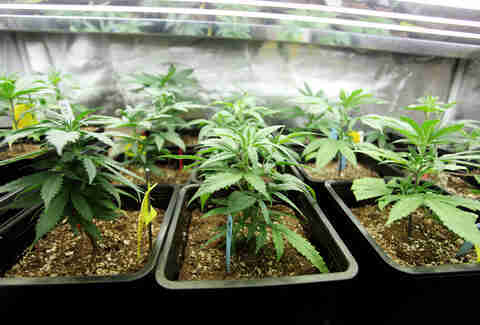 They also have first timer perks for both medical and recreational customers. While Cookies does sell more than just edibles -- namely a solidly curated lineup of clean, high-octane flower and wax -- let’s take a second to appreciate the wonders on their dosed baked goods menu from Venice Cookie Company. The 100mg bags, with a trusty 10mg per cookie, come in varieties like The Hippie (vegan-friendly trail mix, granola, peanut butter, and dried cherries), The Chipster (chocolate chips, cranberries, and sea salt) and the incredibly well-balanced CBD Churros. This growing dispensary franchise is the brainchild of recording artist/marijuana mogul Berner, who has applied the same meticulous standards to cultivating herb as he has to his dank-as-hell street wear. 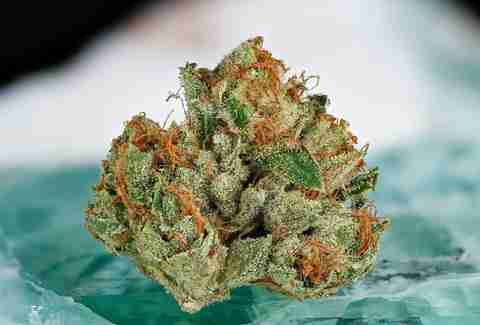 King Kush is known for its customer appreciation days, which can easily turn into huge parties. The shop offers multiple freebies for first-timers, including joints and gift bags with small donations, and you can join the VIP Text Message List by texting "KING ME" to 800-516-1357, and stay up to date with rotating deals and events. Located on the fourth floor of the building (with stunning views of the city), TLC is a legit boutique, featuring a variety of cannabis products, as well as a Show Grow Room and a Jungle Boys Apparel section. Budtenders are on-hand to help you decide, but TLC also features an "Express Line" if you already know what you want -- this can be useful when you want to be in and out, but other customers have a ton of questions. Hollywood High Grade on Santa Monica offers free gift bags to all new patients; the shop also has different deals every day of the week, and on Fridays you can choose from all of them! Like most dispensaries, HHG has a vast Indica selection, but there's a surprisingly healthy selection of Sativa and Hybrids, as well. They've been around since 2003, and have plenty of loyal customers. It's a welcoming space with free parking, and they consider Sunday their patient appreciation days, on which they offer compassion to those who cannot afford their medication. They also offer a military discount. They carry a decent selection of flowers, plus edibles, vapes, topicals, drinks, and cooking aids -- like weed hot sauce and olive oil. Amanda Grace is a writer and musician from LA who is fueled by coffee and liquid eyeliner. She enjoys visiting museums, arcades, and haunted houses. Eliza Deckard is a reclusive writer who enjoys a nice bowl of Blue Dream before bedtime while playing point and click puzzle adventures on her phone.